Right here. This may not be THE pivotal moment, but it does mark a change in comics distribution on the level of Marvel turning three titles into direct market only books back in the 1980s. (For the record, those were Ka-Zar, Moon Knight, and The Micronauts.) While I have a feeling that Marvel will do print runs down the road for those who want to be able to hold and smell their comics (please, you know it’s true), this is a major move toward delivering titles directly to the people who are watching the TV shows connected to them — what Freeform called “Becomers,” people in their 20s who might be interested but don’t have space for longboxes. 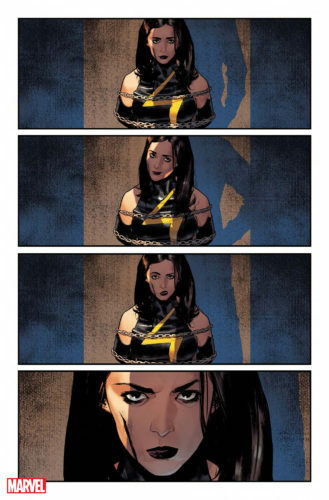 I called this yesterday that Marvel’s teaser was for a relaunch of Jessica Jones, though that was an easy call to make. What I didn’t predict was the digital aspect. But between this and the upcoming Cloak and Dagger, they’re perfect flagships for the experiment to reach those who just want to read more adventures of the characters who have captivated them on Netflix and Freeform. I hope it does end up directing new readers into comics shops. Innovative. Original. Double-Sized. 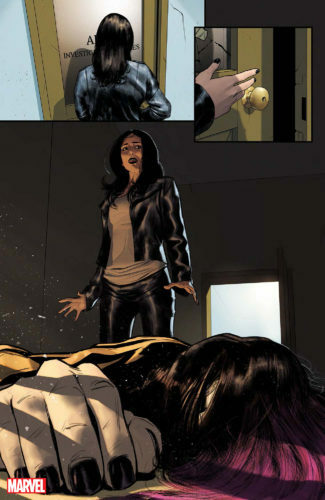 The Marvel Digital Originals are here and launching this exciting new line of digital comics is JESSICA JONES #1, on-sale now from writer Kelly Thompson with art from Mattia de Iulis and covers by Martin Simmonds. 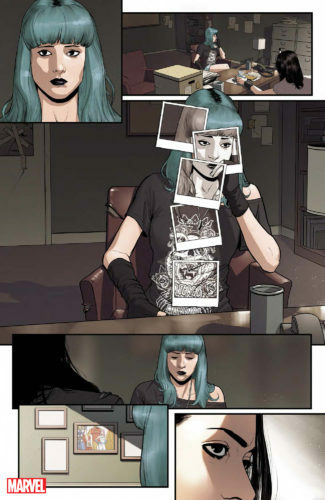 Jessica Jones was once the costumed super hero known as Jewel, but now she’s a private investigator at her own firm, Alias Investigations. 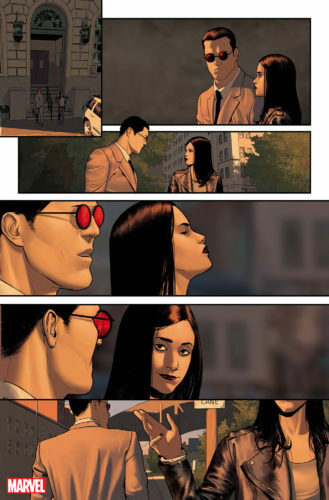 With the Purple Man gone, her relationship with her husband, Luke Cage, and their daughter, Danielle, is better than ever. 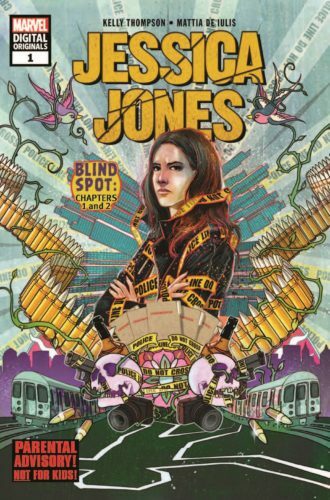 But in JESSICA JONES #1, her past comes knocking, and when a woman whose case she fumbled winds up dead on her office floor, Jessica goes from private investigator to prime suspect. Can she find the real killer and clear her name? “With the Marvel Digital Originals, we have an unbelievable slate of characters TORN from your small screen, come to life on the comic book page with these crazy amazing stories that you’re never going to forget,” says Executive Editor Nick Lowe. Cloak and Dagger will also be joining the Marvel Digital Originals line, with CLOAK AND DAGGER (MARVEL DIGITAL ORIGINAL) #1 going on-sale today, containing the first two chapters of “Shades of Gray” from writer Dennis Hopeless and artist David Messina with covers from Mahmud Asrar. And be sure to check out the Marvel Comics: Next Big Thing panel at San Diego Comic Con this Saturday for an announcement of what thrilling Marvel Digital Originals are coming soon to your favorite reading devices!